Every year, the International Festival brings the best artists and productions to Scotland. A large part of our Learning and Engagement work is to make sure the people who live in Edinburgh and beyond are able to share in and experience all of the great work being put on. We work closely with a range of communities to help provide access to the programme, engagement and education in the arts, and the ability to participate in the International Festival. Connecting communities to each other and the world through cultural experiences. Culture Club is a community-based project which aims to connect communities to each other and the world through cultural experiences. People of all ages from communities around Edinburgh, both geographical and thematic, are invited to enjoy a shared meal, hosted in a different community hub each time, before traveling together to attend a cultural event. This year, we will be working with a diverse range of community groups from across the city, offering the opportunity to attend a wide variety of performances, both as part of the International Festival and throughout the year. Keep an eye on our social media channels for updates on our future Culture Clubs. In 2019 the International Festival will seek to expand connections to the international artists performing in Edinburgh in August through our Global Communities project. This initiative will seek to explore an element of the Festival programme through deeper engagement and participation, seeing artists and performances being taken into community settings, alongside participants attending Festival venues. Keep an eye out for updates on our Global Communities activities coming soon. As part of their Light on the Shore with Edinburgh Gin Seaside day of curated folk music at Leith Theatre, Lau collaborated with the International Festival on the Big Tune Machine. Bringing together players of all ages they created a folk music big band like no other. 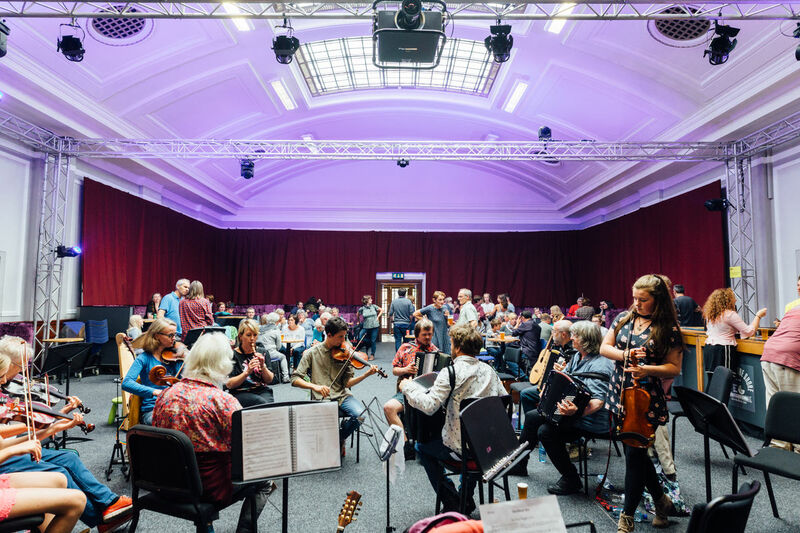 Rehearsals took place in June with Amy Geddes and Donald Knox of Fyne Fiddles, before the troupe came together at Leith Theatre to perform a brand-new composition. The afternoon culminated in an open session for those who wished to stay and play. As part of its 2018 Usher Hall season, the International Festival presented an extraordinary collection of hugely talented young musicians from all over the world. 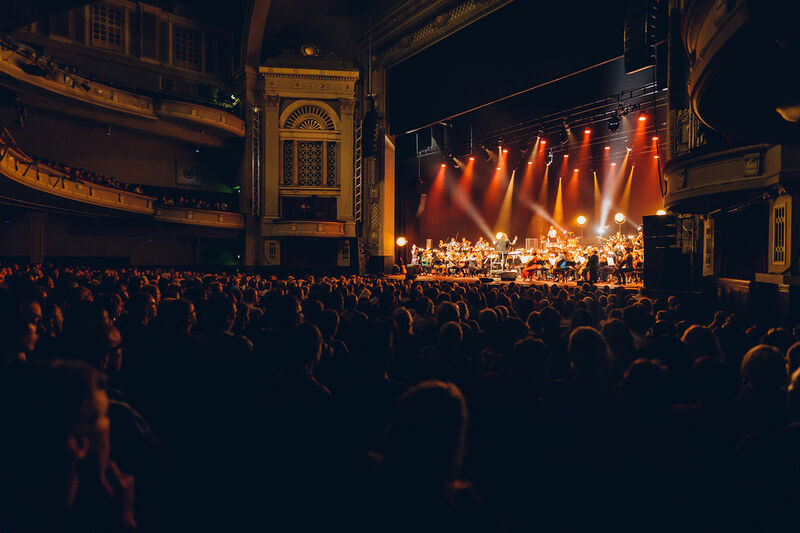 As part of this celebration of young talent, the International Festival worked closely with communities throughout Edinburgh and beyond, to make sure that the young people of Scotland were able to see some of this incredible live music. 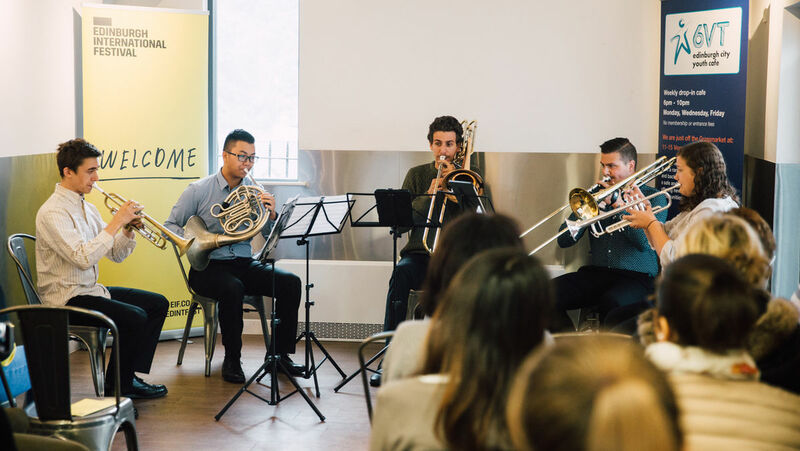 Groups including Edinburgh Young Carers, the Welcoming Association, NHS Merchiston, WHALE Arts and a variety of ESL schools in Edinburgh received complimentary tickets and travel support to attend classic music performance. To coincide with the International Festival’s presentation of Autobiography, the latest work from Wayne McGregor, two dancers from Studio Wayne McGregor came to Edinburgh in June to present three days of workshops. Working closely with Dance Base, the first workshop was presented to an intergenerational class of the Lothian Youth Dance Company and PRIME, the semi-professional dance company for over 60s, the first time the two groups had come together. The other two days of workshops took place at Broughton High School, working one day with a group of their dance specialist students, and the other day with pupils from the school who do not actively engage in dance.